All Holiday prices are shown as a guide - actual holiday prices depend on departure date, airlines and airport. Holiday price will be confirmed by tour operator at time of making a booking. South Africa holidays is one of the most popular searches for exotic luxury honeymoons, and special holidays, as this country offers so much more than Cape Town Holidays. See the Big 5 on Safari in Kruger National Park, stay in a luxury private game reserve, tour the garden route, visit the winelands. Combine South Africa with an exotic luxury beach stay on the Seychelles or Mauritius. The best time to find luxury late deals South Africa in the spring (Sept, Oct) or autumn (April, May). Mount Nelson Cape Town Holiday 5 star, Bed & Breakfast, LGW, 7 nights from £1,503 p.p. dep selected dates - SAVE up to £426 p.p. The Ritz Cape Town Holiday 3 star, Bed & Breakfast, LGW, 5 nights from £936 dep selected dates. Waterfront Apartments, Cape Town Holiday 4 star, Room Only, LGW, 5 nights from £1221 dep selected dates. Bay Hotel, Cape Town Holiday 4 star, Bed & Breakfast, LGW, 5 nights from £1337 dep selected dates. Strand Tower Hotel, Cape Town Holiday star, Bed & Breakfast, LGW, 5 nights from £1086 dep selected dates. Southern Sun Cullinan, Cape Town Holiday 4 star, Bed & Breakfast, LGW, 5 nights from £1116 dep selected dates. One & Only Cape Town Holiday 5 star, Bed & Breakfast, LGW, 5 nights from £1751 dep selected dates. More Cape Codogan, Cape Town Holiday 5 star, Bed & Breakfast, LGW, 5 nights from £1160 dep selected dates. More Quarters, Cape Town Holiday 5 star, Bed & Breakfast, LGW, 5 nights from £1200 dep selected dates. Fairways Boutique Hotel, Cape Town Holiday star, Bed & Breakfast, LGW, 5 nights from £1242 dep selected dates. Radisson Blu Waterfront Cape Town Holiday 4.5 star, Bed & Breakfast, LGW, 5 nights from £2288 dep selected dates. Cape Town Holidays from London, Cape Town Holidays from Gatwick, Cape Town Holidays from Birmingham, Cape Town Holidays from Manchester, Cape Town Holidays from Newcastle, Cape Town Holidays from Glasgow. As Emirates flights to South Africa depart from regional UK airports (via Dubai) similar holiday offers to South Africa could available from your local airport. Cape Town + Dubai Twin Centre 4 star, Bed & Breakfast, LGW, 8 nights from £1222 dep selected dates. 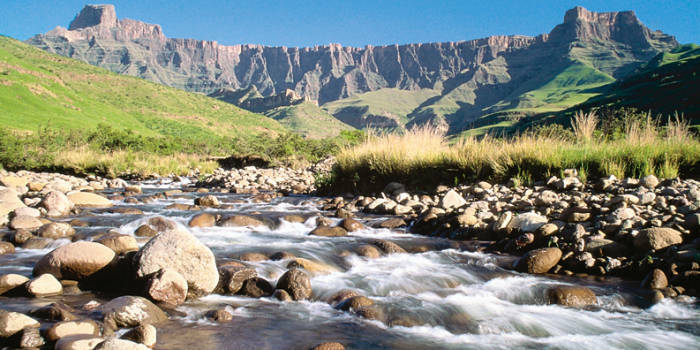 Prefer Tailor Made or Multi Centre South Africa Holidays? Get a Quote without obligation. Best of South Africa 4 star, Bed & Breakfast, LGW, 13 nights from £2925 dep selected dates. Highlights of Southern Africa 4 star, Bed & Breakfast, LGW, 10 nights from £2997 dep selected dates.